A WordJourney Translation, LLC understands the importance of deadlines and that’s why we only contact the best translators for your specific industry. You and your company can feel confident that we will supply you with the fastest, most accurate and proper translations in the industry. Because of the increase in the oil, gas, and energy industries, there is an expansion to new locations every day around the world. Therefore, there is a growing demand for more and more translation services. In order to operate on a global level, you need to be able to communicate efficiently with investors that do not share the same language. Our translators possess the proper knowledge of the laws, rules and regulations on oil and gas contracts or legal agreements for drilling and pipeline installation. The specific terminology and jargon can cause challenges during the translation process. Our highly-trained technical translators and interpreters are not just linguists, they hold degrees in these subject matters and they have real work experience in the industry. Our creative team allows us to handle projects efficiently and meet your business goals. Accuracy is vital as minor errors could seriously damage the operating machinery, pipeline installation, usage or equipment. It is very important to be precise and convey the exact meaning in order to avoid any discrepancies between the original text and the final delivery. Our linguists are bound by confidentiality and nondisclosure agreements, so your information is safe with us. We offer affidavits for documents that are submitted to State or Federal Courts and also provide apostilles when necessary. The certifications are signed by either the Project Manager or the translator. For foreign countries that are under Hague Convention, we offer certifications signed by translators who are certified in those countries. Most of the time, legal translations need to be done under tight deadlines. We work around the clock to make this happen for you. Our staff will respond promptly to your request for legal translation services and we will accommodate urgent deadlines for any legal translation service. Our legal clients trust us to deliver quality and timely translations throughout the litigation process. Let us carry the responsibility for your legal translation needs! Success in the global market depends on accurate communication. We enable leading manufacturers to communicate globally by effectively expressing your core message in all languages you require. • Hazardous Materials Regulations, etc. We help our clients comply with all relevant EU directives and stay up to speed on any changes to the rules compliance by using experienced translators that know the business very well. At WordJourney Translation you can feel confident knowing that we are always on top of the ever changing requirements due to constant regulation change. In an increasingly global economy, most of the HR departments deal with employees who are not English native speakers. We are here to assist you with any human resources translations you may need. The Human Resources Department has the responsibility to make sure all the employees understand all rules, regulations, policies and practices 100%. A bilingual employee may not have the necessary skills to provide an accurate and professional translation, as it takes more than being a native to render a professional translation in that language. We have a team of experienced linguists that are highly qualified in this field and will render high quality translation. It`s our job to ensure your documents are communicated clearly to the target audience. Let us communicate it for you! Our experience in global infrastructure and our multilingual network of linguists ensure that translation into the target languages is a fast and accurate process. We have access to some of the best translators in the business, which is how we can ensure the best translation service for you. Are you lost in translation? Let us help you increase the success of your business across the globe by overcoming inherent language and cultural differences. Business and economic translation are crucial both culturally and linguistically. Our services, combined with our network of business translators, will help you boost profitability and customer satisfaction. With a large pool of translators, we are dedicated to finding the perfect partnership to promote your product or service around the world. We use transcreation for this industry. This means we adapt/convey your message from one language to another – our service goes beyond the translated word. Our teams of experienced marketing translators use their linguistic and cultural background to produce the most suitable option to the target audience, without losing the meaning of the source file. • After the translation process, we use a second reviewer to make sure the content is accurate and we will also do a final proofreading before sending it your way. • Once the translation is uploaded online, we will perform an online review. • We will render the results with comments for the final corrections, if any. 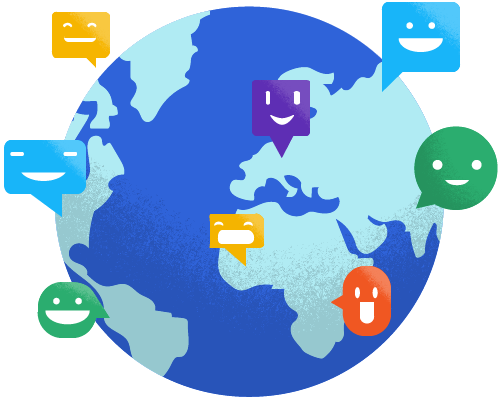 Over 750 million people use the internet in a native language other than English. You can rest assured your website, brochures and advertising materials are ready to be published in the target languages all across the world. • Scientific publications and more. Our team has a deep understanding of the clinical environment. You can rely on our unique translation expertise and knowledge of global and regulated medical environments. Our clients come to us because we provide a personalized service which you cannot find in large corporate companies. We are committed to perfection. You do not have to worry about the complexity of the documents. Trust us to cure your translation necessities. We understand how important it is to have medical translation handled with utmost care! We’ll spread the word for you in more than 100 languages! The translation world moves fast and in order to be successful, you need to be the best at what you do.